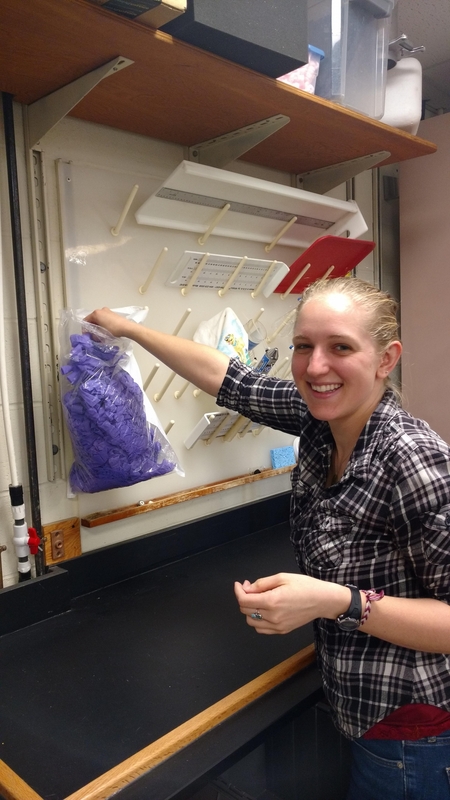 Christina Hernandez, a graduate student in MIT and Woods Hole Oceanographic Institution’s joint program in oceanography, helps to ensure that used nitrile gloves are recycled as part of The RightCycle Program. 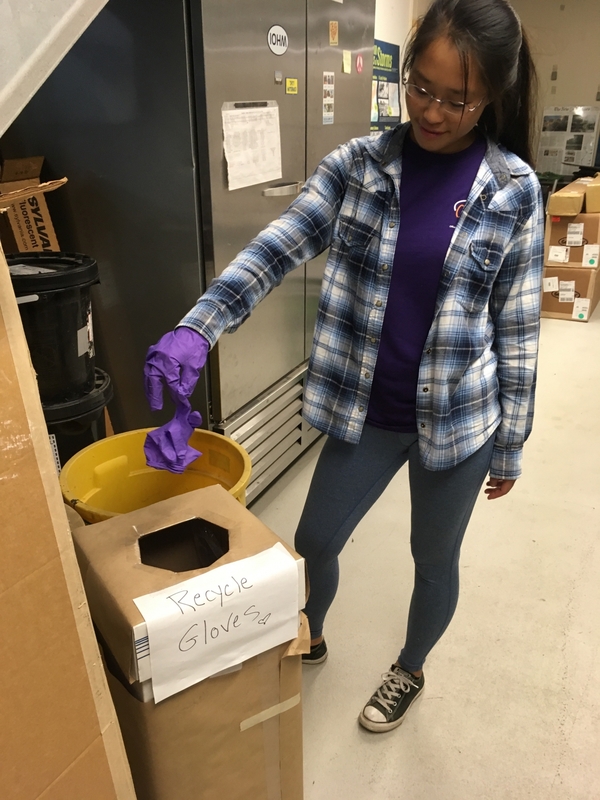 Michelle Chen, a guest student at the Woods Hole Oceanographic Institution, drops her used lab gloves into a bin for recycling by Kimberly-Clark Professional’s RightCycle Program. The Woods Hole Oceanographic Institution (WHOI) is the world’s leading independent non-profit organization dedicated to ocean research, exploration, and education. Its researchers teamed up with French scientists in 1985 to discover the Titanic, and the organization remains at the forefront of providing essential knowledge about our oceans and atmosphere that helps guide global environmental stewardship. So, when WHOI sought to reduce waste in its own operations, an obvious target was the high volume of laboratory gloves used by researchers in its facilities. The question was: Could they be recycled and, if so, how? The answer was yes – through Kimberly-Clark Professional’s RightCycle Program. The RightCycle Program is the first large-scale recycling initiative for hard-to-recycle and commonly used items including non-hazardous laboratory gloves. The program converts used nitrile gloves, apparel, and safety eyewear into new consumer goods. Since its inception in 2011, it’s helped customers divert more than 660 tons of waste from landfills. WHOI now diverts hundreds of pounds of nitrile glove waste from landfills each year. The impact of the program has been far reaching, due in large part to Madsen’s personal commitment to spreading the word beyond WHOI. She created a detailed website for the recycling effort that can be easily adapted for use by other organizations. “I'm happy to pay it forward and assist other people,” Madsen said. “It might take a little more time during the day, but if I’m helping reduce plastics that could end up in landfills or the ocean, it's worth it." Another plus for WHOI is the homegrown nature of The RightCycle Program. Used gloves are sent to domestic recyclers and transformed into flowerpots, shelving, and lawn and garden furniture by U.S. manufacturers. And not to be overlooked is the impact of the program on WHOI’s own employees.